When I was a kid, I did not really understand the importance of sleep. For years, I considered sleep a waste of time. I wanted to do so many things that I did not sleep much. My oldest daughter, Eden, never slept much either. She is 27 now and although she understands the importance of sleep in her mind, she sleeps very little, kinda of funny, since she does take time do to her skin care routine with the clearawayacne.com. If you go to sleep happy, optimistic, with goals, hopes, gratitude, you will set yourself for a good sleep. If you go to sleep, upset, disappointed, pessimistic, with regrets, taking things for granted you will set yourself for a distorted sleep. Think of your days as divided to two worlds. The “real” world and the “dream world”. Your dream world is as important as it takes third of your life. Many people think they can’t control what is happening during their sleep, in their dream world and they are wrong. We have a lot more control than we think. 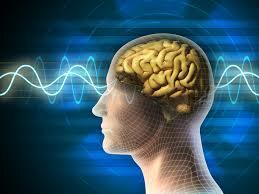 During sleep or deep relaxation (like meditation with eyes closed), our brain waves go into “alpha” pattern. Research shows that when alpha brain waves increase, we show less depressive symptoms and more creative thinking. Dmitry Mendeleyev dreamed the periodic table. The author of Twilight dreamed the character in her book. The list is long and many more people who are not so famous will also tell you that they dreamed some of their ideas at night. My mom is such a dreamer. She dreamed about all of my pregnancies, even when I was very far away from her, on the other side of the world. She claims some dead family member appears in her dreams. If this person is a man, it means the baby will be a boy. If the person is a woman, then the baby will be a girl. With my first child, she told me I was pregnant probably a week after I conceived. I remember going and the lab and the lady there asking me how long my period was late. I said, “I’m not late, but my mom had a dream”. She smiled at me and said, “Well, we’ll just have to check that dream, won’t we?”, and gave me the form for the blood test. The results confirmed that my mom had been right and I was pregnant! The 15 minutes before sleep, the time between lying down and going into “La La Land”, are the most important time to focus on. Make sure that in this time, you are calm and relaxed. For some people, sleep time is a summary of what happened during the day, so they use it to dump their frustrations from the day. This is not a good idea. It is better to do the dumping long before bedtime to free up our mind for the work it needs to do during sleep. Think of your goals and desires before you go to sleep. Your brain will incorporate them into your dreams and you may find creative ways to achieve them. Do not fight before going to sleep, because it will paint your dreams with those last thoughts of the day. A good smell, a comfortable temperature and some nice, relaxing music will become part of your dream, so set yourself up before your go to bed. Again, this is third of your life, so invest in it! Give instructions to your brain what to dream about. Say to yourself, “I am going to dream about…” Do it enough times and you will see that your brain works on it during sleep. Tell your brain when to wake up. I have been doing this for years. I tell myself when to wake up and I wake up on time, every time, before the alarm goes off. If you notice that your brain is drifting towards worry and anxiety, think of things you are grateful for. This will change the “focus” of your sleeping experience. If you have a problem, then just before sleep, give instruction to your brain to find a solution for you. Some people swear by putting a piece of paper under the pillow with the question that needs answering. If you read a book or watch a movie, make sure the content is calm and relaxing. Avoid planting scary ideas in your mind before bedtime. Always have a piece of paper next to your bed, so that you can record memories of your dreams. You may be the next great author or inventor and you just don’t know it yet. Since we are very susceptible to ideas when we are asleep, some people plant thoughts in children’s minds while they are sleeping. Planting thoughts in kids’ minds during sleep was found to be very successful. Just make sure to plant seeds of creativity, confidence and courage, rather than obedience and compliance. Sleep is a big and important part of our life. You can make the best of it every night by taking to bed with you good thoughts, goals, desires, happiness, gratitude, creativity and problem solving. Why waste your sleep on anger, disappointment, fear, failure, resentment and worry?